Hydrology-Software.com is a website that contains information about Aquaveo, LLC, the head distributor of Groundwater Modeling System (GMS Software), Surface water Modeling System (SMS Software), and Watershed Modeling System (WMS Software). Aquaveo provides Support and offers Training for GMS, SMS and WMS Modeling Software. For more detailed information about SMS, GMS and WMS hydrology software products, please visit www.aquaveo.com. Surface-Water Modeling System (SMS) is a comprehensive environment for hydrodynamics, pollutant and sediment transport, and wave modeling. SMS includes 2D finite-element, 2D finite-difference, 3D finite-element and 1D backwater modeling tools. Supported models include the USACE-ERDC supported TABS-MD (GFGEN, RMA2, RMA4, SED2D-WES), ADCIRC, CGWAVE, STWAVE, M2D, HIVEL2D, and HEC-RAS models. Comprehensive interfaces have also been developed for facilitating the use of the FHWA commissioned analysis packages FESWMS and Bri-Stars. SMS also includes a generic model interface that can be used to support models which have not been officially incorporated into the system. Groundwater Modeling System (GMS) is used by thousands of people at U.S. Government agencies, private firms, and international sites in over 90 countries, it has been proven to be an effective and exciting modeling system. GMS provides tools for every phase of a groundwater simulation including site characterization, model development, calibration, post-processing, and visualization. GMS supports both finite-difference and finite-element models in 2D and 3D including MODFLOW 2000, MODPATH, MT3DMS/RT3D, SEAM3D, ART3D, UTCHEM, FEMWATER, PEST, UCODE, MODAEM and SEEP2D. Regardless of your modeling needs, GMS has the tools! Watershed Modeling System (WMS) is a comprehensive graphical modeling environment for all phases of watershed hydrology and hydraulics. WMS includes powerful tools to automate modeling processes such as automated basin delineation, geometric parameter calculations, GIS overlay computations (CN, rainfall depth, roughness coefficients, etc. ), cross-section extraction from terrain data, and many more! With the release of WMS 7, the software now supports hydrologic modeling with HEC-1 (HEC-HMS), TR-20, TR-55, Rational Method, NFF, MODRAT, and HSPF. Hydraulic models supported include HEC-RAS and CE QUAL W2. 2D integrated hydrology (including channel hydraulics and groundwater interaction) can now be modeled with GSSHA. All of this in a GIS-based data processing framework will make the task of watershed modeling and mapping easier than ever before. Aquaveo is an environmental and water resources modeling software company based in Provo, Utah that develops software used to model and simulate groundwater, watershed, and surface-water resources. Its main software products include SMS, GMS, WMS, and Arc Hydro Groundwater. 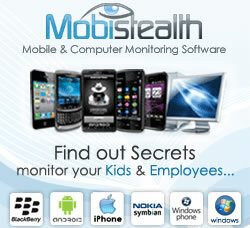 Mobistealth is a great cell phone monitoring software. It has awesome features, and works with iPhone and Android Smartphones.